This time of year, when hearts sweets and hugs abound, it never hurts to have an extra Valentine or two around the house. My girl’s have teachers, helpers and friends that they love so much and I truly appreciate. I like to have a gift or two on hand for these special Valentines. 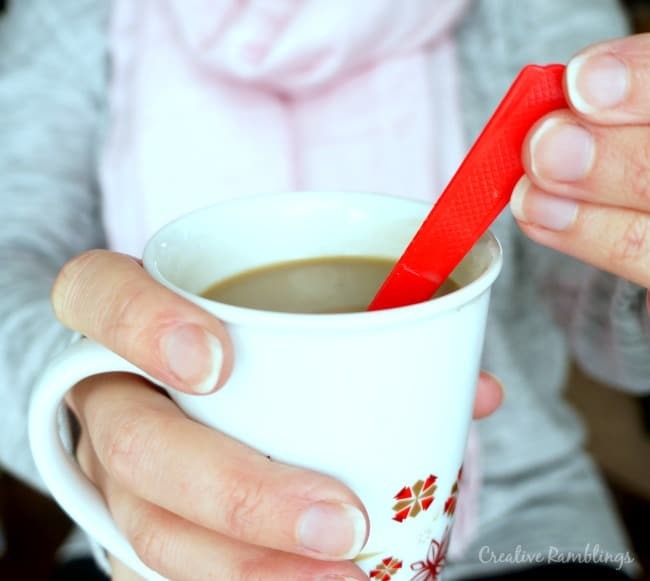 These easy 2 ingredient hot chocolate spoons are a great gift to keep wrapped up at home. 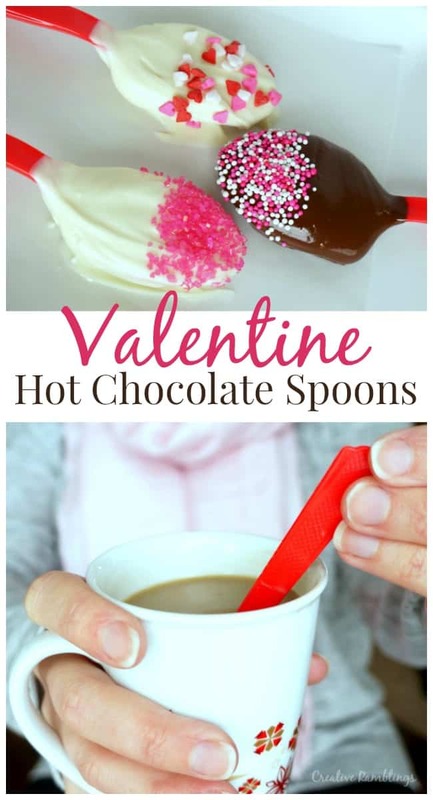 Gift them with a mug, or alone with a sweet note, either way your Valentine will love these indulgent hot chocolate spoons. 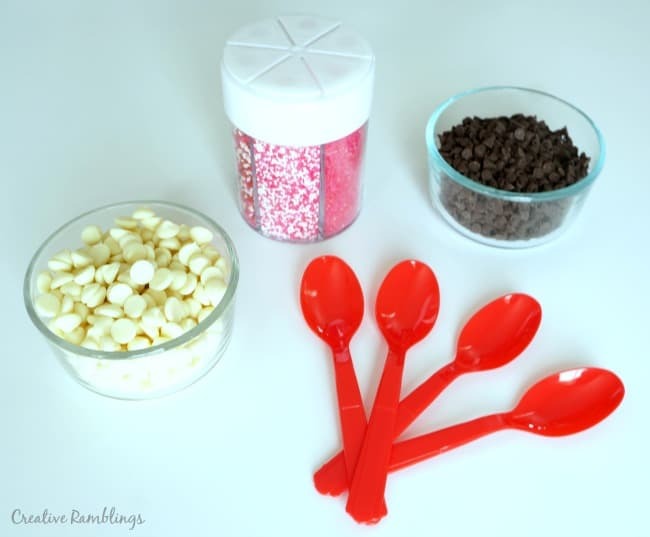 These hot chocolate spoons can be used in a couple of ways. Stir them into hot chocolate to make it rich and creamy. Or you can stir them into a hot cup of coffee, my favorite way to use them. I melted the chocolate then dipped a spoon in. I scooped up a spoonful then spread chocolate around the back of the spoon using a spatula. To dry, I set the spoons on a plate covered with wax paper. I rested the handle of the spoon on the edge of the plate to keep the chocolate from running. They harden after an hour or so, or can be placed in the freezer to speed up the process. 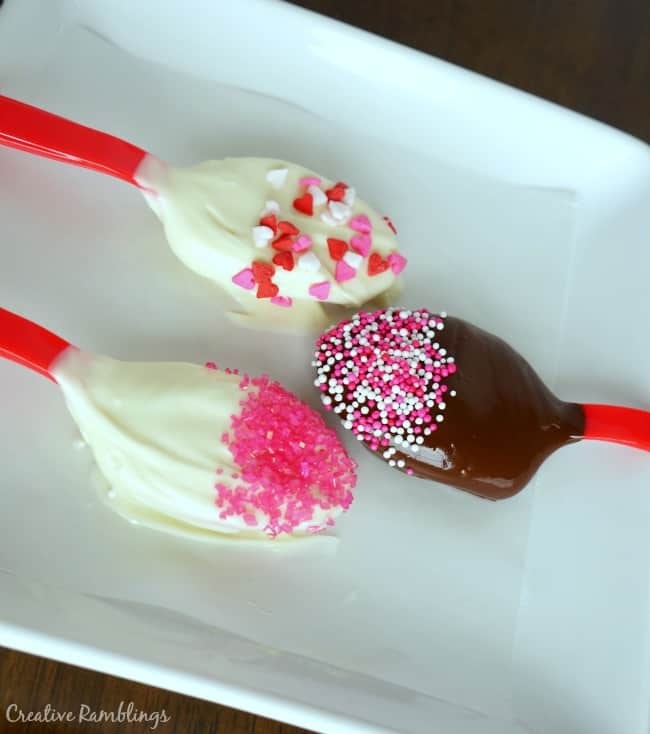 Wrap these cute spoons in a clear bag with a bow and gift them to your Valentine this year. Who would you gift these hot chocolate spoons to?